Who would've ever thought you could mention Duke Ellington and co-op shooter in the same sentence? Cuphead will be out before you know it, and let's be honest, you're probably not nearly as prepared as you think. You'll toil. You'll sob. You'll curse the Meatboy legacy. But, at least you'll get to enjoy some sweet cartoon visuals and a swingin' soundtrack. So, instead of maintaining your daily regimen of thumb curls and finger yoga, why don't you prepare for the game by reveling in the aspects that won't make you rage-crush your sixty dollar controller? The folks at Studio MDHR just released a teaser video showing off some behind-the-scenes footage of soundtrack production. Hope you like brass. 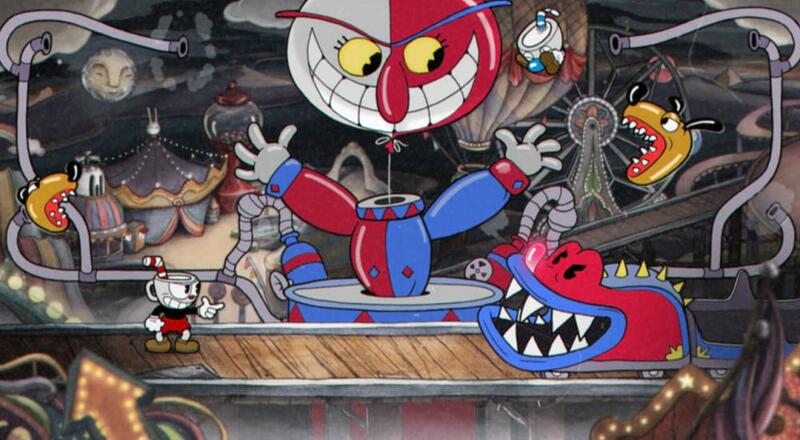 Cuphead will sport two player local co-op when it hits on the 29th. Both PC and Xbox One players can commiserate in the shared failures and celebrate the rare, rapturous victories the game will no doubt offer. Just under a year ago, we found out that the developer was expanding their vision beyond a pure boss-rush campaign, so there should be plenty of opportunities for pain and joy at the end of the month. Page created in 0.4581 seconds.